Sibyl offers a range of treatments, as well as a thorough consultation to determine which will have the most benefit for the patient. Sibyl is a clinical massage therapist who tailors each treatment to the needs of the individual; integrating deep tissue massage and remedial and triggers point techniques, along with neuroskeletal re-alignment therapy, myofascial release and reiki. She is a Tisserand trained aromatherapist, a reflexologist trained in maternity reflexology and she treats people with a wide range of conditions, from sciatica to insomnia. She also specialises in pregnancy massage and provides support to those taking part in intensive extreme sports. Sibyl's interest in complementary therapy began during a two-year stay in Japan in the 1980s, where she had the opportunity to experience various types of bodywork and healing. In Japan, she discovered a very different attitude towards energy and healing and it was this that inspired her to study and then practise some of the therapies herself. Sibyl offers a mobile service in Central London as well as in-clinic sessions at Urban Bliss, London and the Whitstable Osteopathic Practice in Whitstable, Kent. 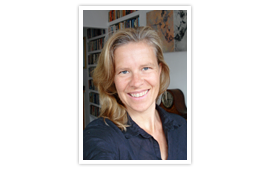 She is a member of the SMA (Sports Massage Association), CNHC (Complementary & Natural Healthcare Council), IFPA (International Federation of Professional Aromatherapists) and AOR (Association of Reflexologist). Sibyl continues to add to her skills by attending advanced massage workshops and courses throughout the year. She also teaches level 3 Sports Massage in the Kent area.